CBS All Access is a subscription video service that offers live tv and on-demand CBS programming. This service carries many popular CBS TV shows such as Star Trek and The Big Bang Theory. It also carries NFL games that are broadcast on CBS making it one of the least expensive ways to watch football and other sporting events. The service is very simple but very reliable and incredibly inexpensive. CBS All Access (R) is an over-the-top subscription streaming video on demand service. CBS All Access is owned and operated by CBS Interactive. With this service you can watch National Football League games or popular TV shows such as The Big Bang Theory and Blue Bloods. Live access to your CBS affiliate is currently available in 175 markets. 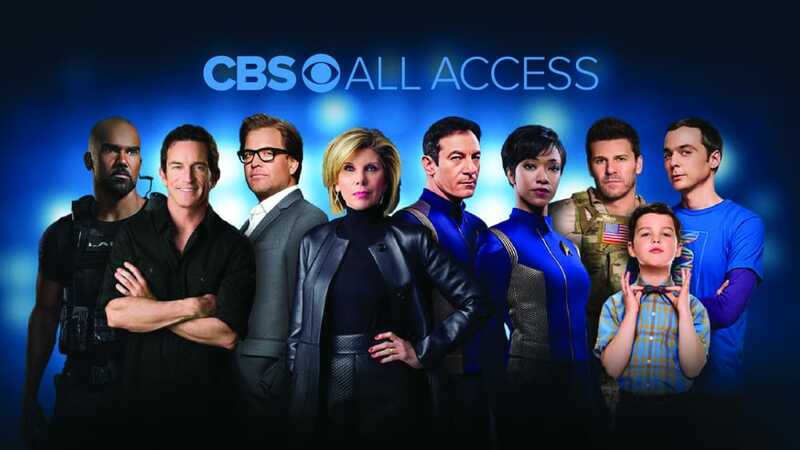 CBS All Access offers original content, content newly aired on CBS’s broadcast properties, and content from CBS’s library, along with live streams of the local CBS affiliate’s main channel, where available that delivers live television through your internet connection to devices such as computers, tablets, smartphones, or streaming devices. It requires no installation, there are no extra fees, and you can cancel anytime. Subscribers can choose from up to two different plans: Limited Commercials and Commercial Free. The Limited Commercials plan costs $5.99/month and the Commercial Free plan costs $9.99/month. If you sign up for an annual subscription, of either plan, you will save 15%. CBS All Access is one of the least expensive ways to watch live TV and live NFL games. CBS All Access offers two simultaneous streams at one time across multiple devices on either the Limited Commercial or Commercial Free plan.. The services is broadcast in 1080p but does not offer 4K or HDR support. The service is fairly limited compared to competitors such as Hulu. The interface is easy-to-use but crowded. The service is simple but it is very reliable. CBS All Access gives subscribers access to over 10,000 TV episodes. However, CBS All Access does not offer every single show that is broadcast on CBS. We would like to see CBS improve on this and embrace their viewership a little more but for the price its still a great deal for what is offered. Here is a list of the top 20 TV shows available. Click here for a list of available programs. CBS All Access is supported by a wide array of devices leaving subscribers with many options. Users have the flexibility to watch their favorite shows and movies in a variety of different ways such as at home on your television or on your phone while you’re on the go. CBS All Access is a great way to watch popular sporting events. Subscribers will get access to live National Football League games. Most AFC teams such as the Denver Broncos, Oakland Raiders, New England Patriots and others are broadcast on CBS. CBS will be airing Super Bowl LIII on February 3rd, 2019. College football fans also love this service as many of the biggest SEC games are found on CBS. You will be able to watch top NCAAF teams such as Alabama, Georgia, LSU, and others. CBS also broadcasts NCAA basketball including March Madness, PGA Championship, The Masters, and more. This is one of the least expensive ways to watch some of the most popular live sporting events without cable. CBS is America’s most watched network but is very difficult for international cord-cutters to get. If you live in Europe, the UK, Canada, Austrailia, or anywhere else in the world then you will notice that content is geo-restricted. The good news is there is a way to get around this. International cord cutters can access CBS All Access using a Virtual Private Network (VPN) but it is very difficult. CBS does not accept payment from non-US addresses, including PayPal. So if you want to watch CBS All Access internationally you will need to find someone willing to share their American login credentials. If you are looking at using a VPN, we recommend using ExpressVPN. I am huge Survivor fan, I saw absolutely every season, and my biggest dream is one day to participate in the show, but unfortunately, I live in Europe, so we do not have access to watch Survivor. Nordvpn rescue me from this problem, I saw all 37 seasons, and I am so thankful that I have this provider. Team Christian all the way!